Most of my life I have been ambivalent about babies. I was quite surprised that turning 30 and meeting a handsome man who wants kids has changed my outlook... Now I'm having vivid daydreams about a future that includes little ones, and these fantasies have begun to materialize in knitting! 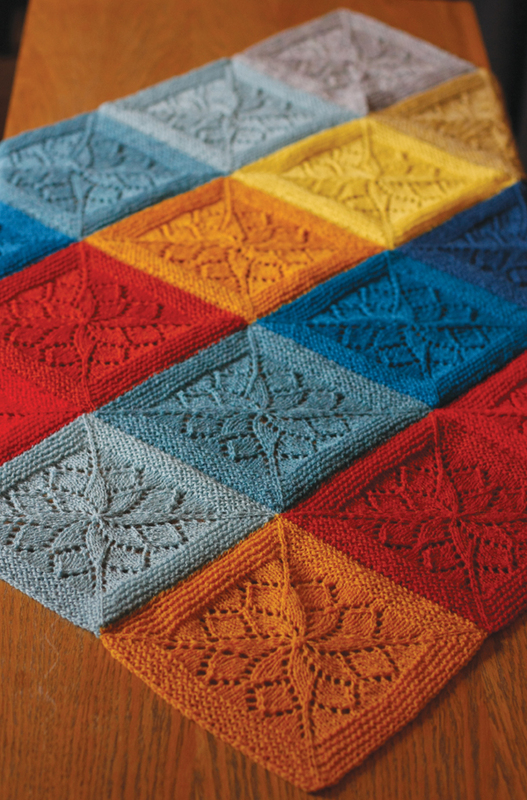 Vivid is lace patchwork that can be knit in any weight of yarn. I made a baby blanket size in a range of bright primaries. The vivid pattern is available as an individual pattern download, or as part of Handmade in the UK. sizing The pattern can be knit in any weight of yarn, and you may make more or less squares for a smaller or larger finished blanket. Squares will measure approximately 7.5 (9, 10.5) inches square for sock (DK, aran) weight yarns. 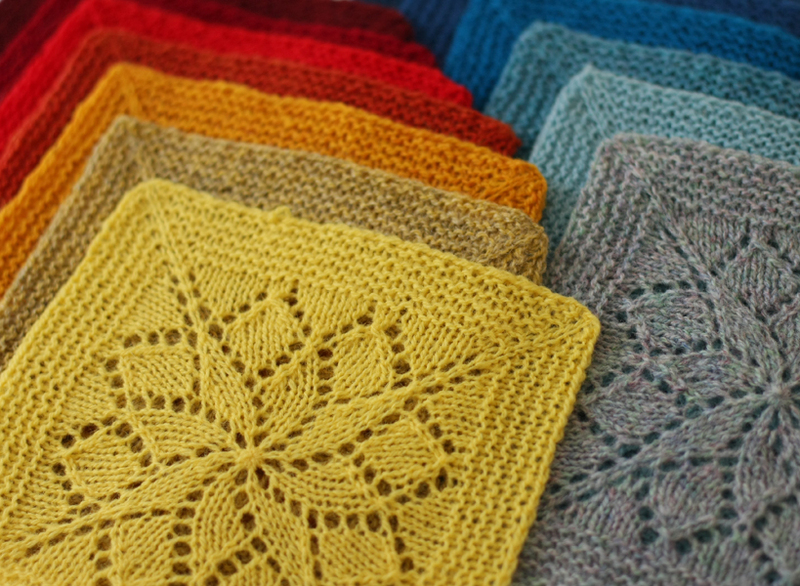 The baby-blanket sized sample is made in sock weight yarn and is 30 x 37.5 inches (20 squares). gauge I recommend that you knit a square using suggested needles, block it and see if you like the finished size and density. notes Vivid is knit one square at a time, then seamed together at the end. 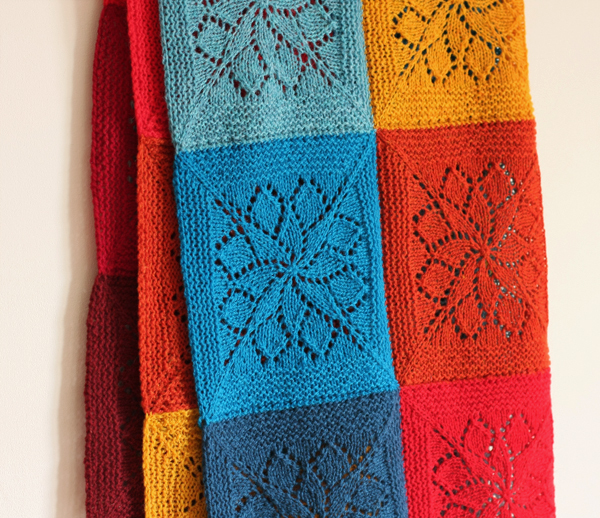 Each square is knit from the centre outward to the garter stitch border. Lace is described both in line-by-line text instructions and by a chart. See pinhole cast-on tutorial.